This is initial draft documentation for the Visual Micro beta extension. This version of Visual Micro has been changed from add-in to extension. Please download from the extension downloads page. It is currently a zip containing a .vsix file. 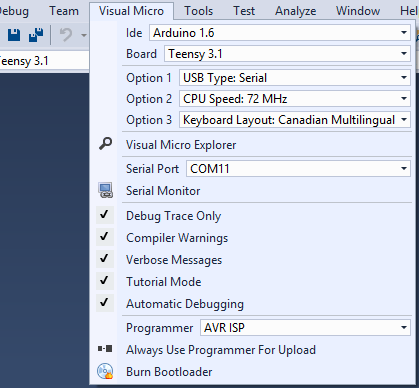 Double click the vsix to install Visual Micro into Visual Studio. In this version tool bars are not shown by default. There are also more bars available in the Visual Micro extension than in previous releases. Tip: Right click the tool bar area to see the "Arduino" tool bars. In this Extension version of Visual Micro the visibility of tool bars can be specified in two modes. All primary features are available on tool bars and the "Visual Micro" top menu. The "Visual Micro" menu replaces and extends the functinality found on the "Tools>Visual Micro" menu of previous releases. 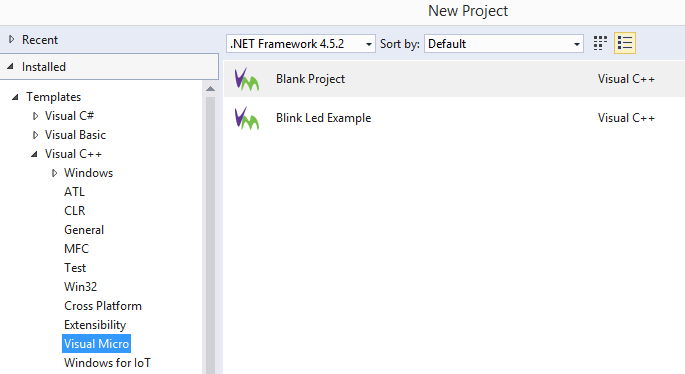 New Projects can be created using various templates in the Visual Studio "New Project" wizard. 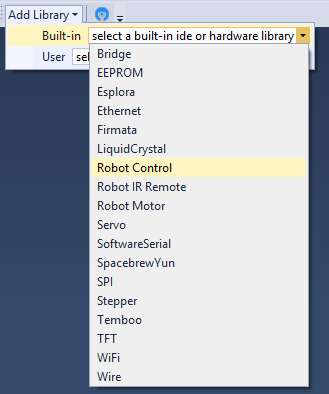 New templates can be added to the list simply by clicking "Add Template" in any Arduino project. A Windows 10 IoT project template is installed and "ready to go". Create a new project based on this template. Upload to your board and you have a Window IoT device! !